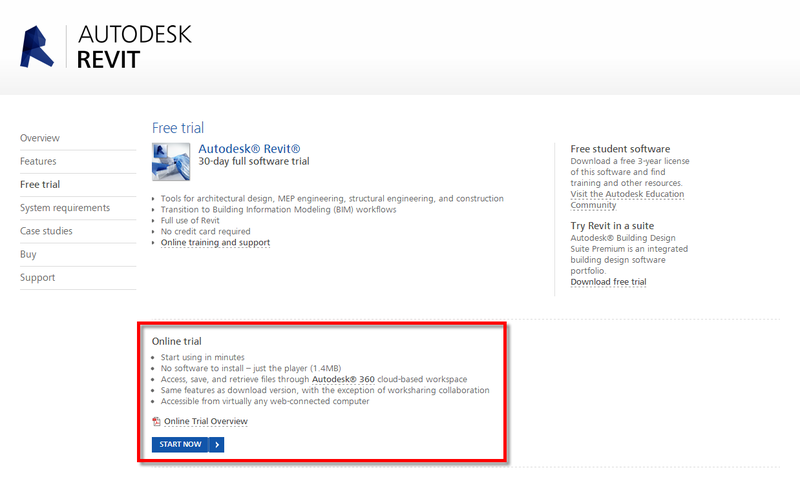 "Autodesk Revit 2014 and Autodesk Revit LT 2014 online trials went live on autodesk.com [on April 18th]. "The online versions do check for eligibility. At this time, these links are not visible to everyone. 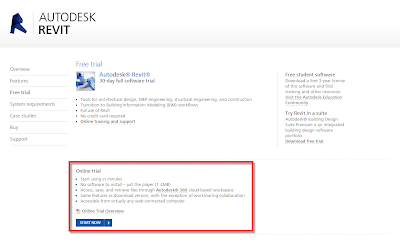 Users must be in the US and must have a decent internet connection to our [Autodesk's] data centers For those who meet the criteria, this is a great way for them to try Revit without having to download and install the application itself." Credit: Scott Sheppard's It's Alive in the Lab blog.